In a news release today, The ALS Association announced its financial commitment of $10 million to ALS Accelerated Therapeutics (ALS ACT), a new collaborative project that will accelerate development of new treatments for amyotrophic lateral sclerosis. The ALS Association’s funds are being matched by an additional $10 million from The ALS Finding a Cure Foundation. The ALS Finding a Cure Foundation is led By Peter N. Foss, Lee Rizzuto and Denis Rizzuto. The foundation was created in April of 2014 and is a tribute to Christie Rizzuto, who was diagnosed with ALS five years ago at age 41. Christie is the wife of Denis Rizzuto. This foundation is a part of the Leandro P. Rizzuto Foundation, a private foundation created and funded by Mr. Rizzuto, owner of Conair and Cuisinart. The project is made possible by the unprecedented outpouring of support from the Ice Bucket Challenge. 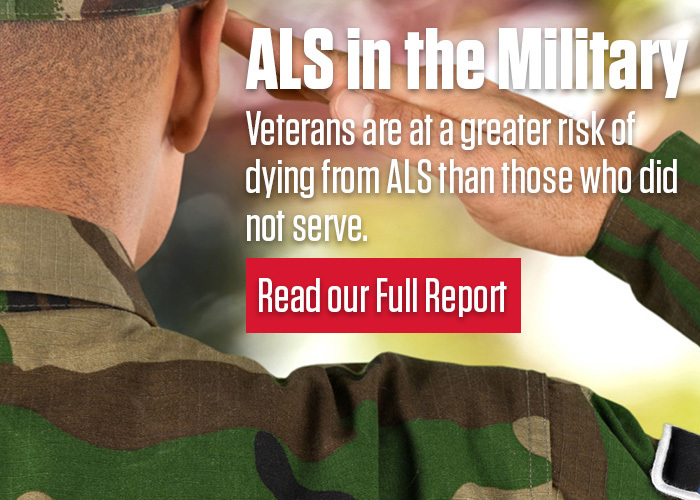 ALS ACT is one of four major new initiatives by The Association as a direct result of that support. Development of neuroimaging tools as potential biomarkers for ALS progression, a key unmet need in trials. This initiative will leverage key contributions from GE in imaging technology and researcher expertise in developing new approaches to tracking neurodegeneration in the brain. Acceleration of the development of new therapeutic approaches for ALS. Initial strategies will focus on decreasing the production of misfolded proteins within motor neurons and reversing neuroinflammation within the central nervous system, two major contributors to the disease process. Overcoming key roadblocks in the search for therapies through a challenge grant program. Support for new phase IIA pilot clinical trials using biomarkers and the NEALS consortium infrastructure. Biomarkers have the potential to speed clinical trials, and depending on the marker, may provide unambiguous evidence for a treatment’s ability to slow disease progression or confirm that the therapy reached its intended target in the nervous system. To accelerate research, data and resources from ALS ACT-supported studies will be openly shared with other ALS researchers. In addition, ALS ACT will strengthen ongoing collaborative efforts in support of clinical trials, including NeuroBANK, a central repository for clinical research data in ALS, and the NEALS Biorepository. Initially established through the TREAT ALS NEALS Clinical Trials Network, NeuroBANK will host, curate, and disseminate proteomic, genomic and clinical data. The medical team leading the foundation’s efforts includes: Merit Cudkowicz, M.D., MSc, Massachusetts General Hospital; Robert J. Brown, Jr. M.D., D.Phil., University of Massachusetts Stanley H. Appel, M.D., Houston Methodist Hospital System; Clive Svendsen, Ph.D., Cedars-Sinai; Nadeem Ishaque, Ph.D., and Tom Gentile, Senior Vice President General Electric.GE Global Research.